Find Costco NW Vaughan Hours – 55 New Huntington Rd, Vaughan, ON, L4H 0S8 Warehouse. 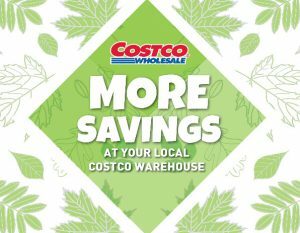 Get Costco NW Vaughan Flyer, Black Friday Deals, Cyber Monday Deals, Boxing Day Deals, Christmas Day Hours, regular store hours, weekly flyer specials, address, coupons, opening times, deals & sales. Phone: (289) 459-0921. Warehouse Departments: Auto Buying Program, Executive Membership, Fresh Meat, Gas Station, Inkjet Cartridge Refill, Photo Centre, Service Deli, Bakery, Fresh Deli, Fresh Produce, Independent Optometrist, Membership, Rotisserie Chicken, Special Order Kiosk. View Costco Vaughan, 55 New Huntington Rd Flyer and Weekly Specials.